Our first trip in the M380, working out the kinks. 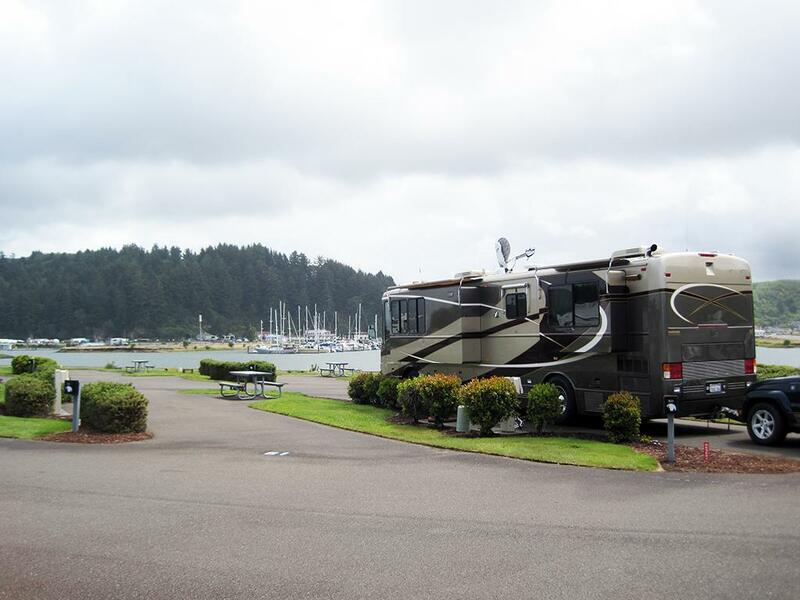 We bought a 2004 Blue Bird M380 in March of this year, and after we finished outfitting it and changing it to meet our needs we left May 15th for a "shakedown cruise" up the Oregon Coast. Use the M380 link to read more about the coach. 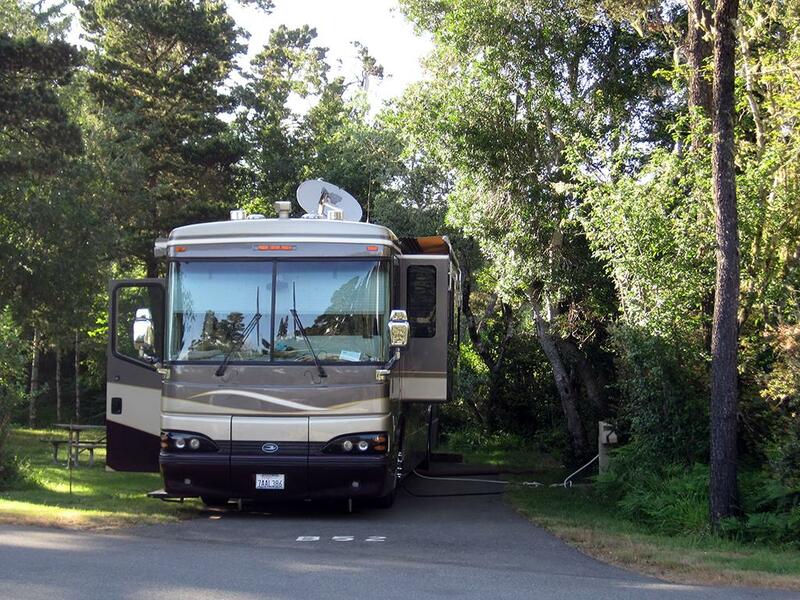 After a couple of nights on the beach at Brookings we spent 5 nights at Bullard's Beach State Park, north of Bandon. We've stayed there a half-dozen or so times. 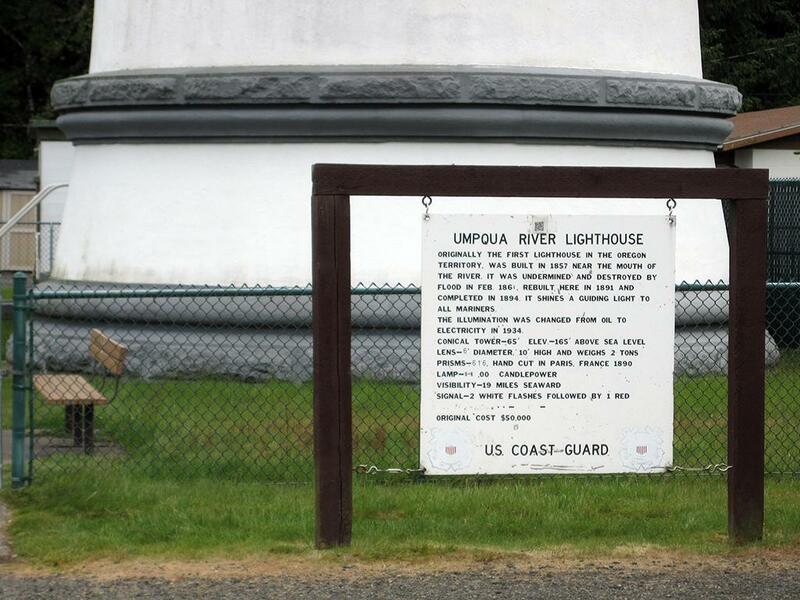 After Bullard's Beach we went a short distance north to Winchester Bay, at the mouth of the Umpqua River. We have never stayed here before. Our site looked North at the Salmon Harbor Marina; the river mouth was behind us. 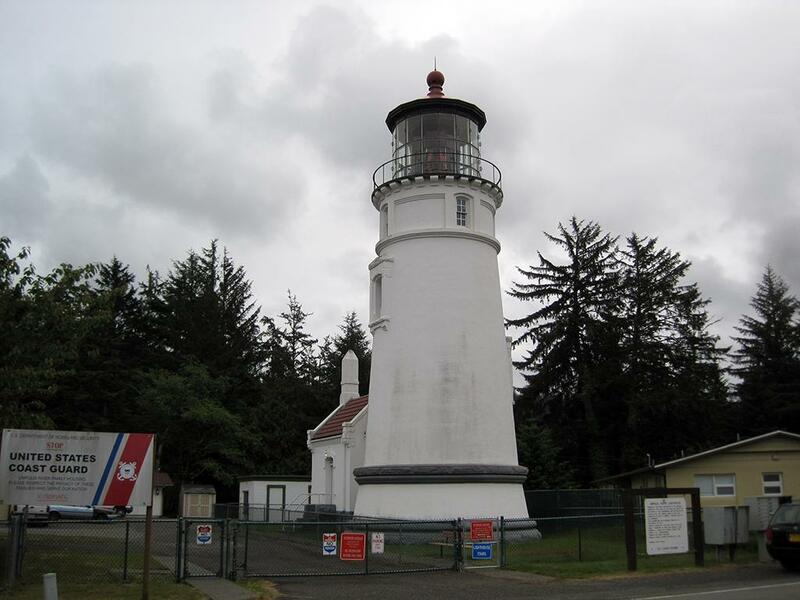 As is typical of our trips in May in Oregon there was a lot of rain, but we did manage to explore a bit including visiting the nearby lighthouse. The Coast Guard spent an hour or so practicing water pickups in the river just behind us - here is one pickup sequence. 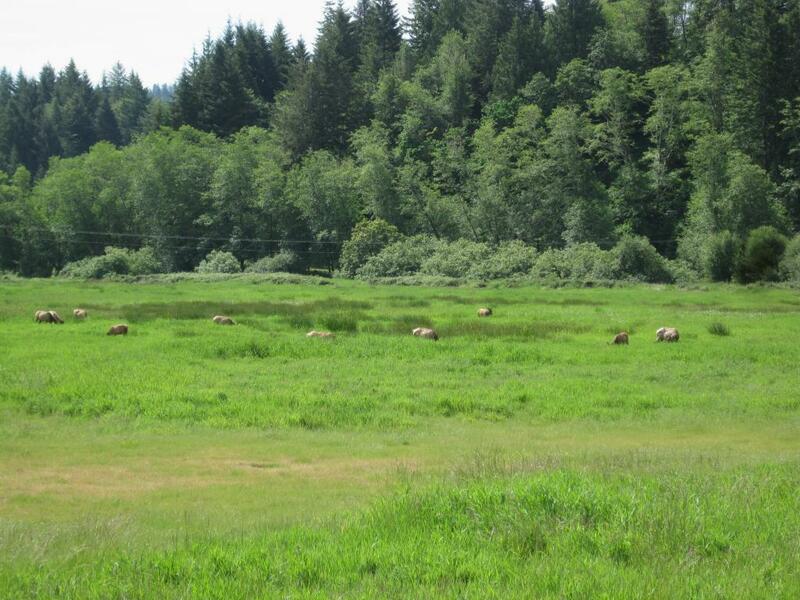 We saw quite a few elk in the Reedsport area. Didn't take any good pictures after Reedsport, but we went up to Eugene, then Salem, and returned via the same route. Not too many issues with M380, but a few things we wanted to change and a few that needed fixing.